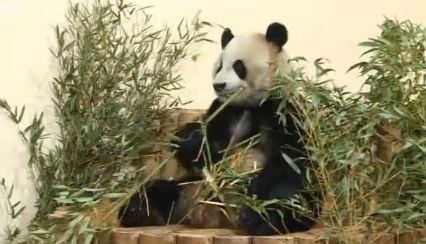 Two giant pandas have arrived in Edinburgh, after a nine-hour journey from China. Tian Tian and Yang Guang are the first giant pandas to live in the UK for 17 years. Messages and artwork by more than 1,000 Chinese children, wishing Tian Tian and Yang Guang good luck in their new home, were sent with the pair.